Mothers deserve to be treated with a special dish on their special day. For this reason, El Real Pasta, one of the brands of Universal Robina Corporation, came up with two exciting sumptuous pasta recipes. 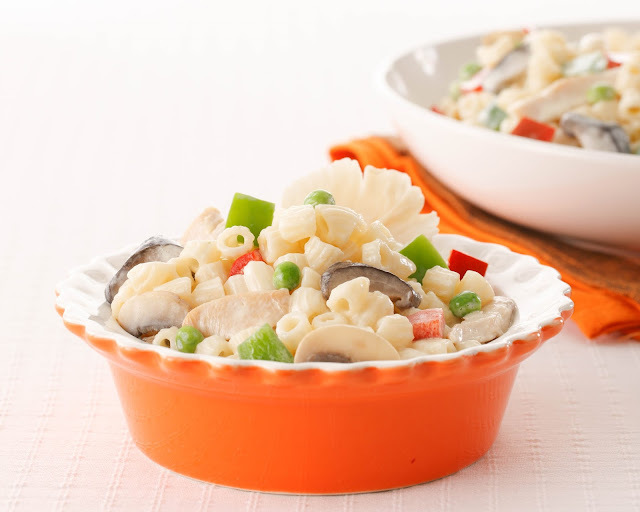 Try these recipes and let these women in our lives feel the “yumayakap ang sarap” goodness of El Real Elbow Macaroni and El Real Flat Spaghetti. 8 pcs. shitake mushrooms – soak in 3/4 cup water (15 minutes). Save mushroom water. First, cook the El Real Elbow Macaroni according to package directions, drain under faucet water and set aside. In a 12-inch skillet, melt the butter and sauté onions and garlic. Add chicken and cook until it changes color. Add mushrooms and cook for 2 minutes. Add peas, salt and pepper. Stir until boiling. Add cream and simmer. Top with bell peppers. Turn off fire and toss in the macaroni. Serves 4-6. Cook the El Real Flat Spaghetti according to package directions, drain under faucet water and set aside. Cook 10 fresh or frozen broccoli flowerettes in boiling pasta water for 10 minutes, drain and set aside. In a 12-inch skillet, put butter and sauté onions until soft. Add sausage, chicken, salt and pepper. Stir until half cooked. Then add Continental All-Purpose Flour and mix well. Lastly, add milk, stir and simmer. 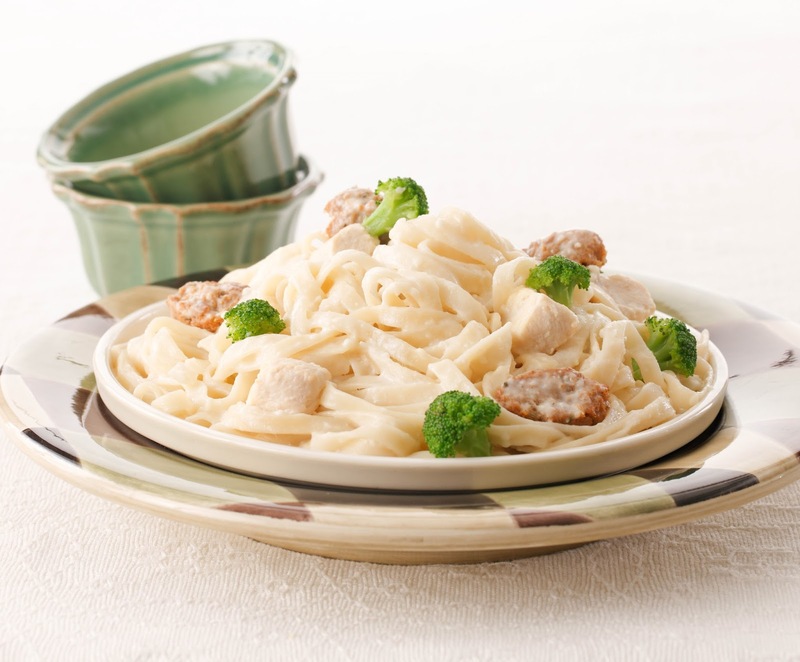 Place pasta on a serving platter, top with sauce and garnish with broccoli flowerettes. Serves 4-6.